The popularity of portable electronic devices bring along the increased demand for long-lasting battery power. Ultra Plus Alkaline battery, made with advanced materials, is designed to provide reliable and long operating power for high drain devices. 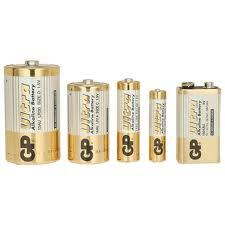 Ultra Plus Alkaline battery offers users seamless enjoyment with portable gadgets. Digital Cameras, Photo Flash, MP3, CD Players, Electronic Dictionaries, Electronic Games, Remote-Controlled Cars and Battery-Operated Toys.